I took this picture of my Samantha in the dog run a few days ago. She has been my most dedicated worker (of my own kids) over the last couple of weeks. So dedicated, she would often come out and wait close to an hour for the dog run to begin. 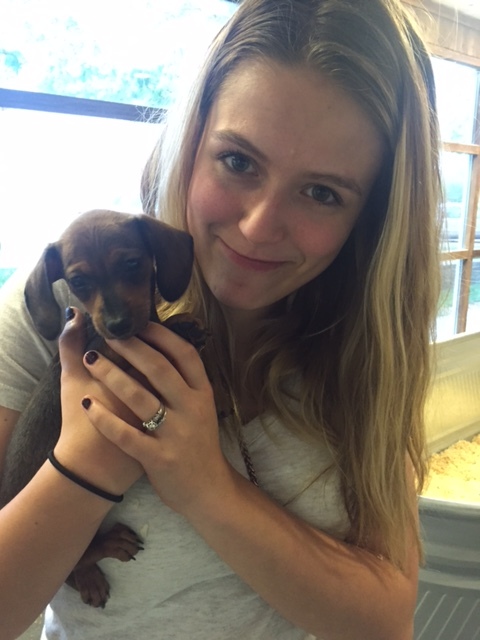 That is Tilly she is holding…a sweet firecracker of a dog. 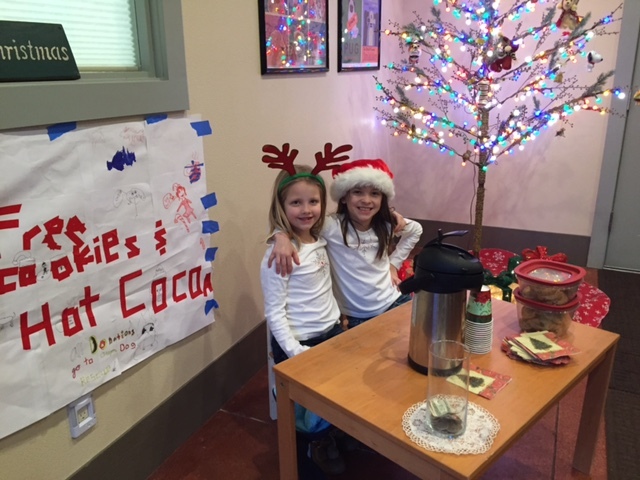 Samantha took an active responsibility with our little dogs this year. We often caught her mediating conversations between them. Just like on the playground at her school, she wants to make sure everyone has a friend. This morning she asked me if she could become a “real” kennel worker. I’m pretty confident that we can put her on the payroll in the future. Nothing warms my heart than a young person that isn’t scared of a little hard work. Sorry, I have been away for a few months. Life seemed to fly by. I am having a moment as I reflect on how our kennel began.My daughter Madelyn’s’ love for animals truly was our motivation to begin the kennel blessing in our families lives. All for now….but you will hear from me very soon! Just wanted to share a delightful Christmas card we got from one of our neighbors…The Krafves! I LOVE IT! This one is going to be saved for future display. It is hard to take all the holiday decorations down each year. This one will stay on my desk for a little bit longer. The building of our kennel has been a long and (at times) painful process. But I don’t think any of us would appreciate the good things in our lives…if life was always easy. Years ago, we had dogs living in our house with us. We graduated to our old barn. 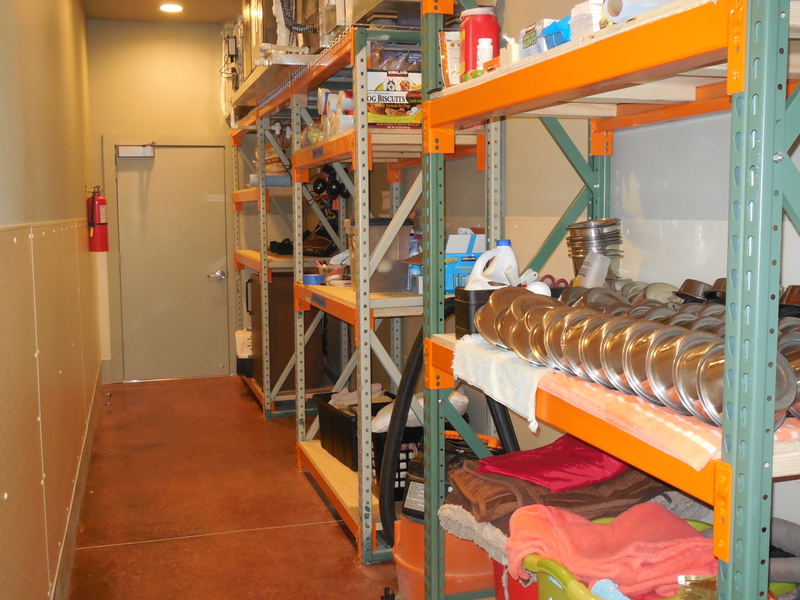 Then we finished out half of our shop…but now…We are in a building that we can be proud of! We can see the light at the end of this construction tunnel. We are not 100% but I wanted to share with you the “almost” pictures. So you can appreciate the new phase in our life. This is our drop off area. The famous outdoor tent. I know many of you are going to miss watching us run from the tent down to the kennel to retrieve your furry family member. Julie is already worried that her lack of sprints down to the kennel is going to force her to up her fitness regiment to compensate for the lack of calorie burning. She is going to have to cut back on her Red Vines! 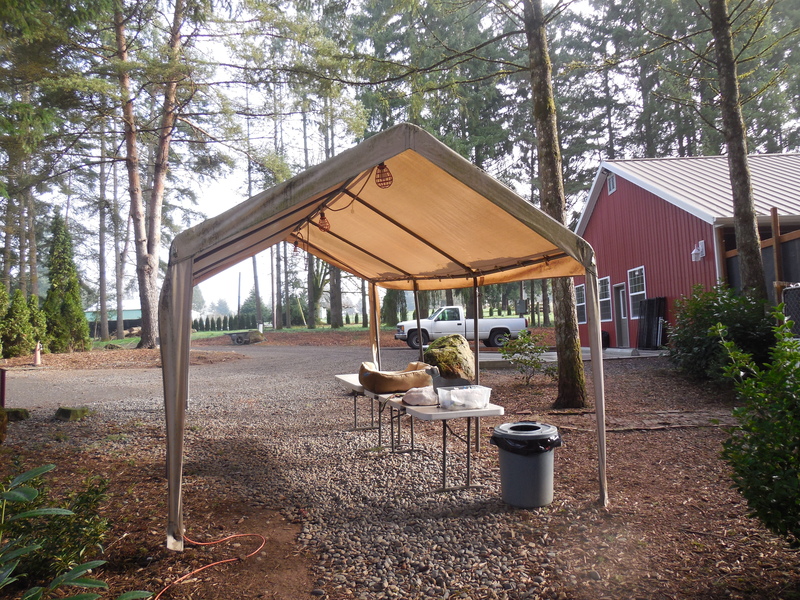 The drop off tent has become a Reynolds Kennels landmark. But when the rains and winds are in full force…this tent struggles to do it’s job. But for the most part..we will miss it. Derek showing off his masterpiece…the reception desk. This is Derek in our (soon to be) reception area. He built this nice desk with a friend of ours, Randy Trost. 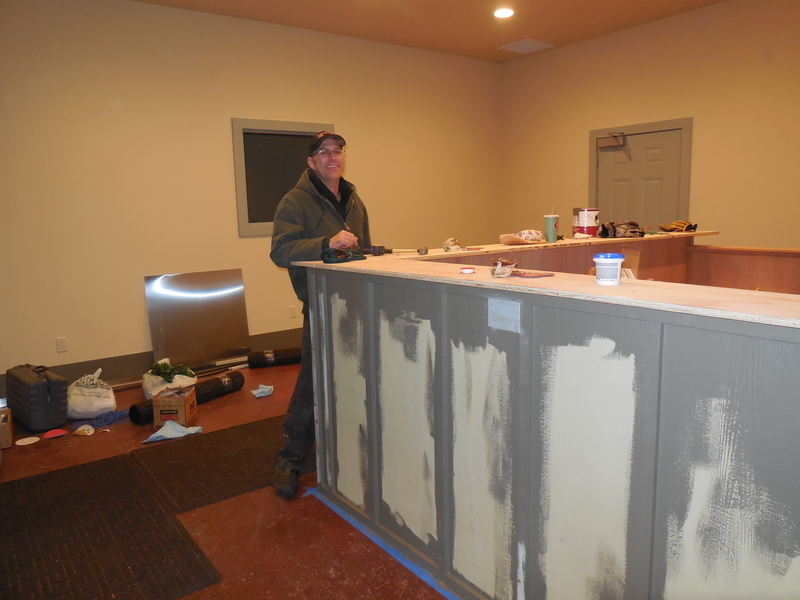 Painting is almost finished and the counter tops will be installed this weekend. We look forward to all of our clients to be able to drop their dogs off with no worries about the rain. We plan to have Items available to purchase if you happen to have forgotten something at home. Food, blankets, treats etc. Anything to help your dog to have a great stay. 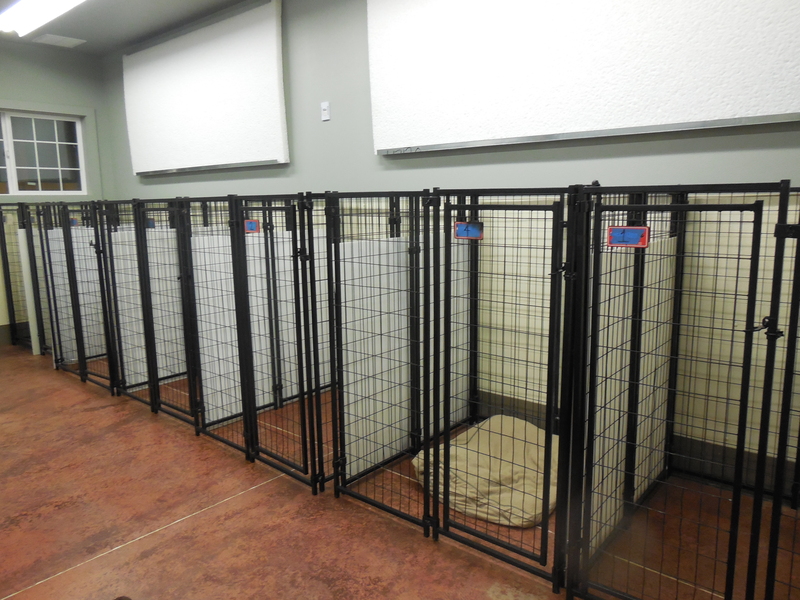 We want to give you a glimpse of the kennel rooms. Their is four of them. We separate the bigger dogs from the smaller ones, but all the rooms are generally the same way. Derek and I had a tough time agreeing on a color…I’m sure the dogs don’t care but I wanted the dogs to feel cozy. Even if I am the only one that feel cozy. I guess that is all right. The floors are polished and stained concrete. Every room is heated and has air conditioning. My house doesn’t even have air conditioning! Sometimes in the summer, it crosses our minds to go “sleep out with the dogs” because they have it better than we do. 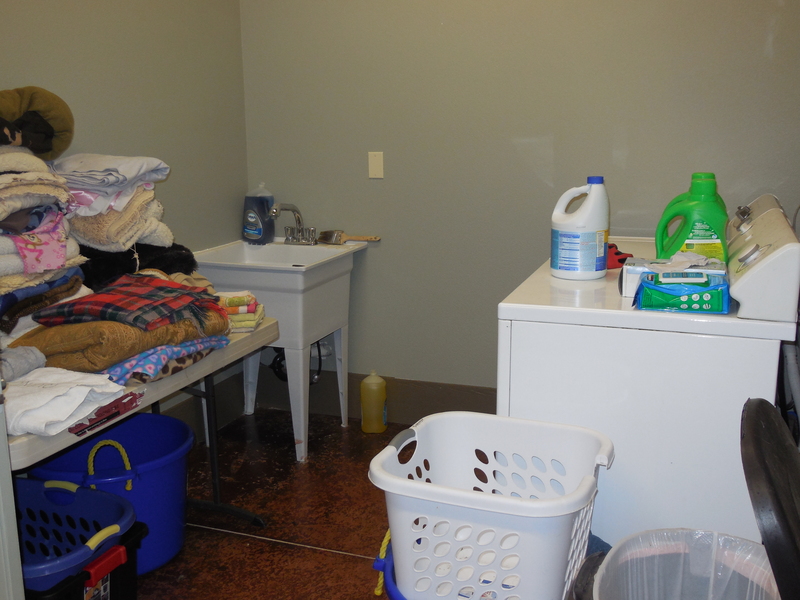 We have our food prep areas…an of course the LAUNDRY ROOM!!! I am the most excited about the Laundry room. You have no idea how much dog hair and dirt would go through my machines. It would take me a couple empty washes and a vacuum to get the machines ready for human laundry. Our signs are still being ordered and we have a few more fences to rearrange….but we are happy to be ALMOST done. 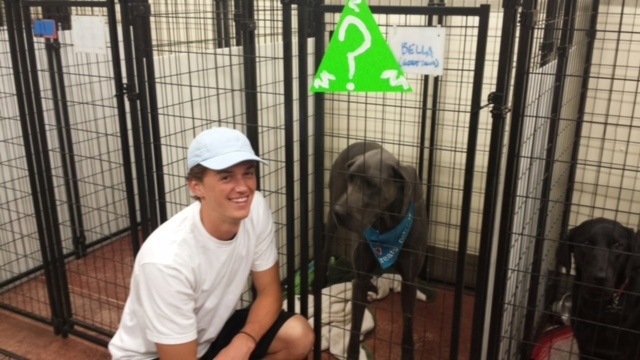 I will take a video with a kennel tour….when we are officially moved in. A sneak peak will have to do for now. Whew!…..We made it through this CRAZY SUMMER! 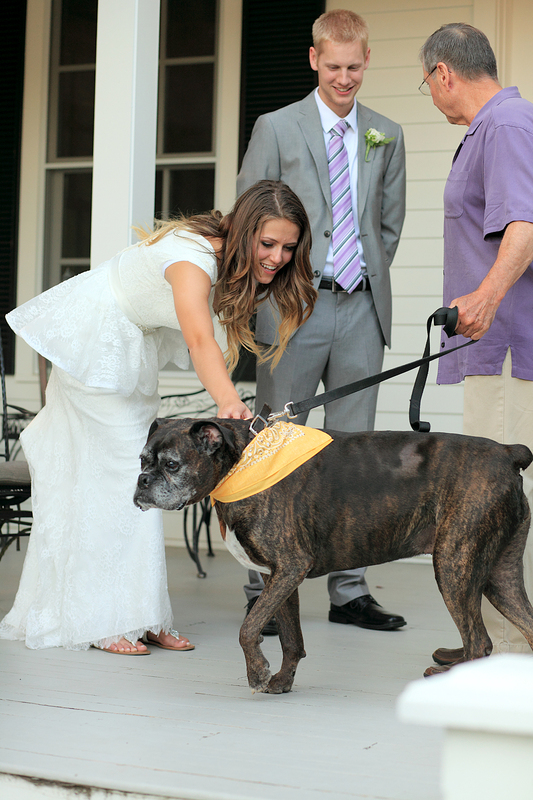 Not only did we have our kennel filled to the brim but our oldest daughter Madelyn got married August 27th. Yes, engaged in May…married in August. Molly Dressed for a Wedding. One step of the wedding planning, was compiling the guest list. That list of people that have been key in her (and our) life was humbling. Honestly, that was my favorite part of the planning…being reminded of the wonderful people in our lives. Would it be odd to invite dogs that we take care of at our kennel? Molly has been spending time with us for years. She is our resident queen and clearly lets everyone know her social standing. She comes 3-5 days a week for day care…and I would say, she (and her owner Ed) have become part of our family. Raising 5 kids takes lots of different people/dogs to teach all they need to know to succeed in this life. Dogs are excellent teachers and influences. Often better than human ones. 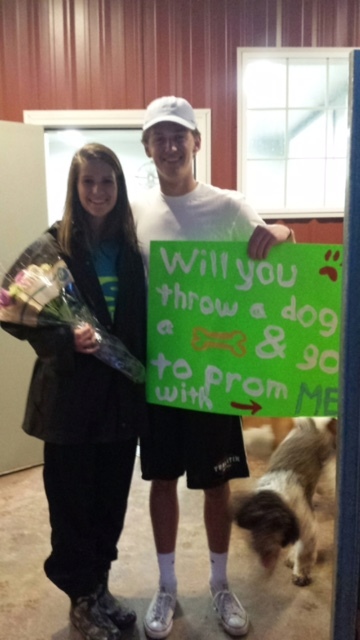 Molly and Ed greeting Tucker and Madelyn. Unconditional love, respect, hope,work , peace, stability, patience….I could go on and on. Molly is one of those dogs. Madelyn had a few dog friends on our list. I was pleased to see my beautiful (now married) daughter take a moment and pause to recognize who is important in her life. 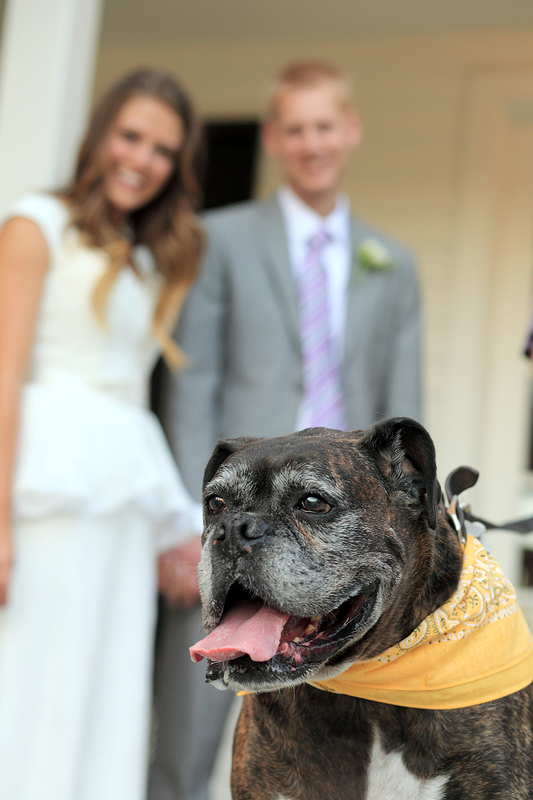 As I expect now and in the future….the Reynolds kids will have dog friends on all of their wedding lists.